We LOVE watching the Olympics and doing as much learning during this time as possible! Delight directed learning at its best. Over the years we’ve done unit studies each time there is a new Olympics session…so of course, with the Winter Olympics coming up, I started collecting ideas again. Along with Ancient Greece, there is a great opportunity to learn about Russia this year, the country that is hosting the Olympics. I have included some links for Russia learning as well. 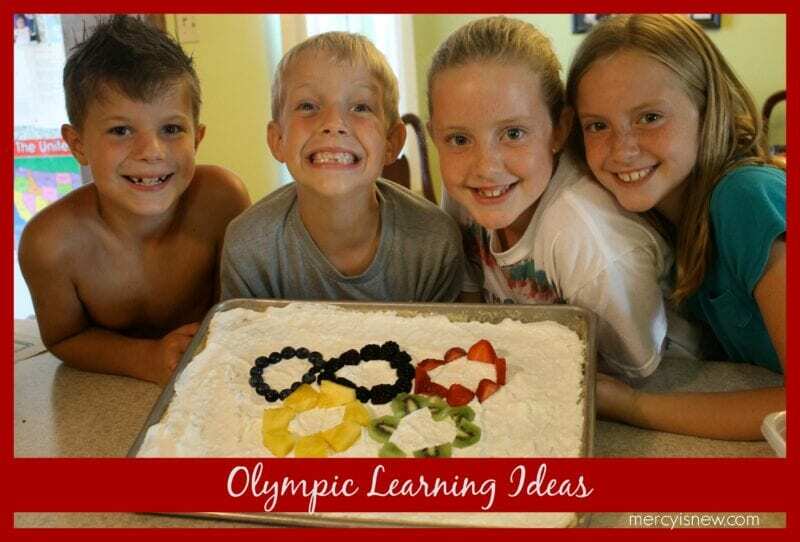 Make an Olympic CAKE or FRUIT PIZZA (like pictured above) Use colored m&m’s for a cake or use fruit on a sugar cookie with frosting for a fruit pizza! Watch as much of the Olympics as you can! Cheer on your country’s teams! 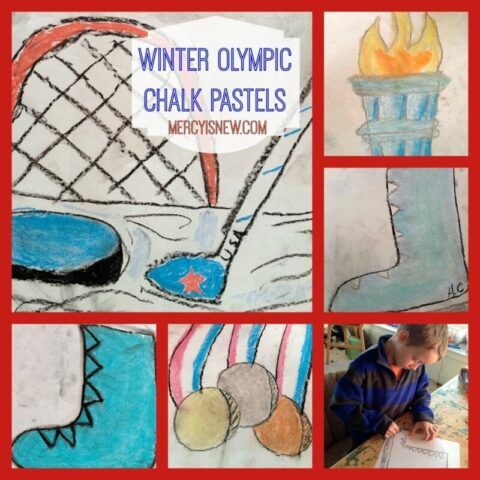 Click on the graphic below to visit the Winter Olympic Chalk Pastel page. This set is $4.99! Here is our full review & more pictures of my family using these Chalk Pastel Tutorials!! If you’re still wanting more ideas…come check out this Olympic pinterest board with tons of ideas as well as my ancient history board. Would you like to receive encouragement & homeschooling ideas straight to your inbox? Subscribe to my blog! « I’m a blogger…and I’m NOT leaving Facebook!